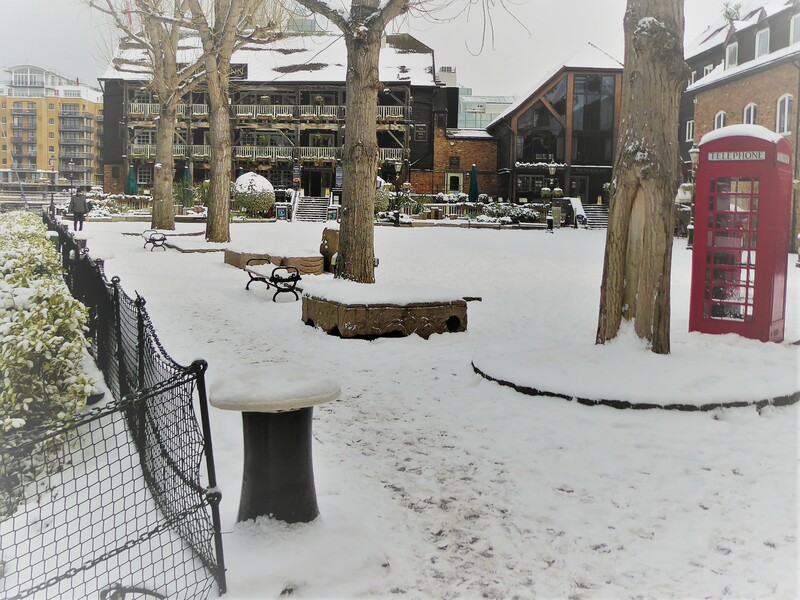 St Katharine’s In The Snow, Why Not Just Enjoy What We Can’t Change? 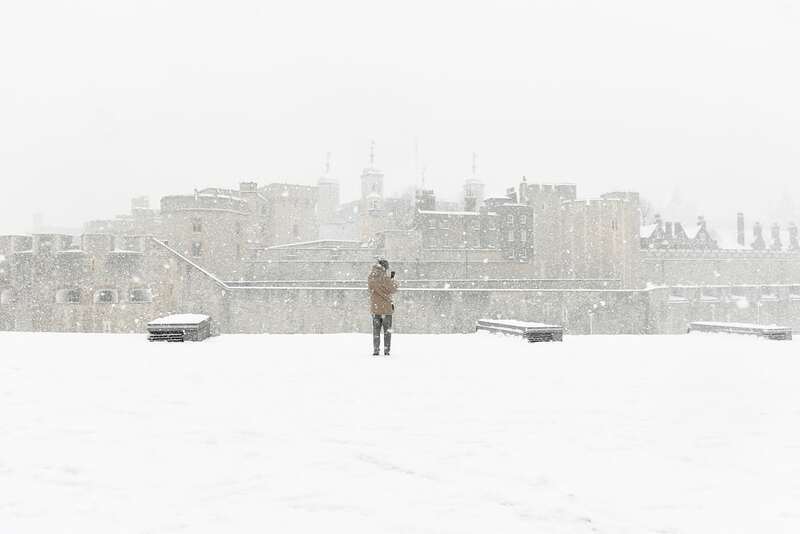 Snow in this country always seems to be the height of drama one day- then suddenly it’s all gone and we wonder what the fuss was about. 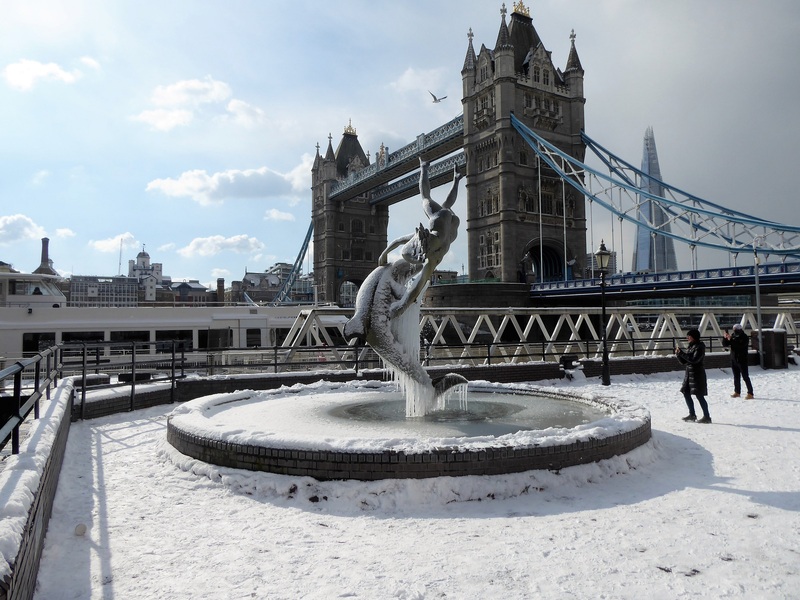 St Katharine Docks looks so extra beautiful covered in snow, so does nearby Tower Bridge and the Tower of London- the pictures speak for themselves. If only people could avoid panic and accept that we just can’t control every minute of our lives, they could allow time to relax and enjoy this rare occurence. Getting upset just wastes energy. We can’t spend a fortune on preparing for such weather because it is so infrequent. I have seen the resources in Prague and Vancouver, which are experience lead and neccessary for their climates; we don’t do too badly with the minimal resources available. Yes, I have experienced the downside- while working in Italy years ago, fifteen minutes later and I would have been stranded in my car for twenty hours; fortunately I turned off the motorway, just in time to escape the worst of a freak blizzard and stayed the night in a mountain village. Numerous times, I have had to abandon work etc., it’s just part of life. We can’t change this- just relax and enjoy. 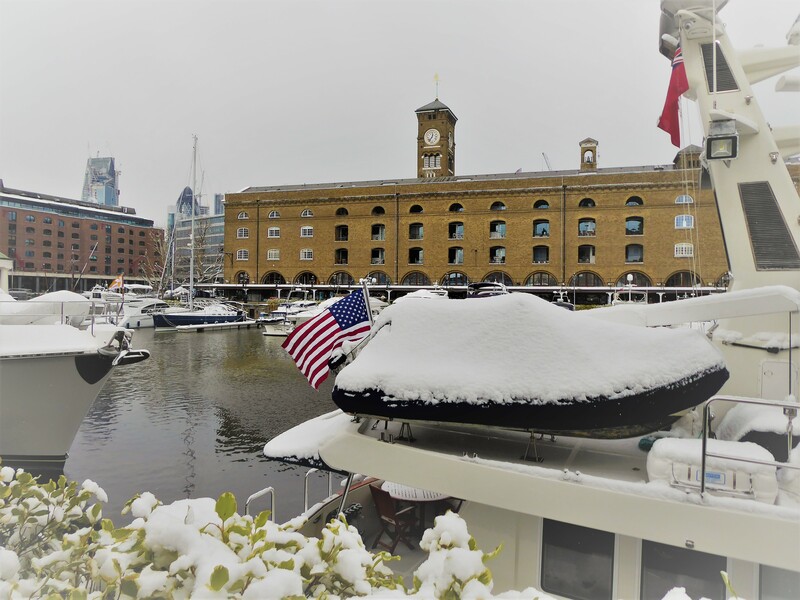 Central Basin At St Katharine Docks, Covered In Snow. Our Thanks To Victoria Jones,PA, and Guardian Newspaper For This Picture. 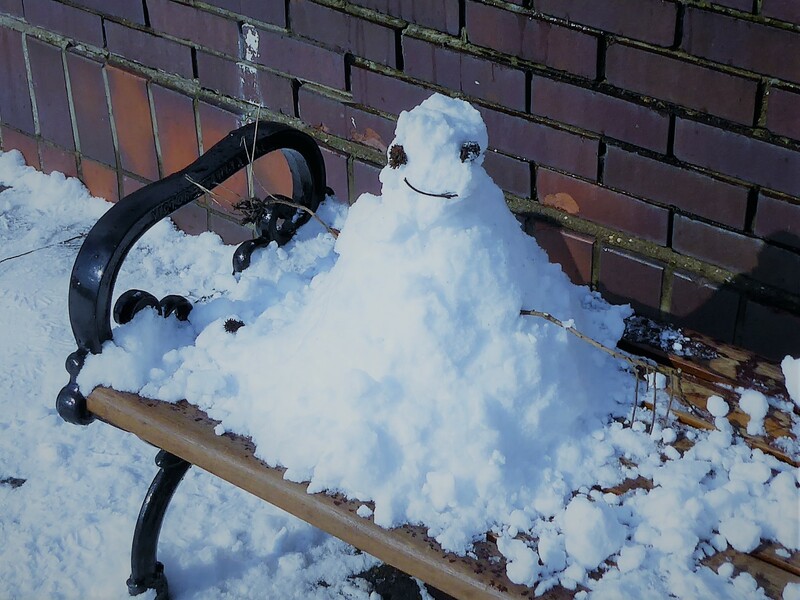 Small Snowman Smiling At The River Thames. I Am Starting To Work Again, At Last. Why Is Lola Wesson A Star At 11 Years Old?